New London, Connecticut is a wonderful place for a pharologist to visit. 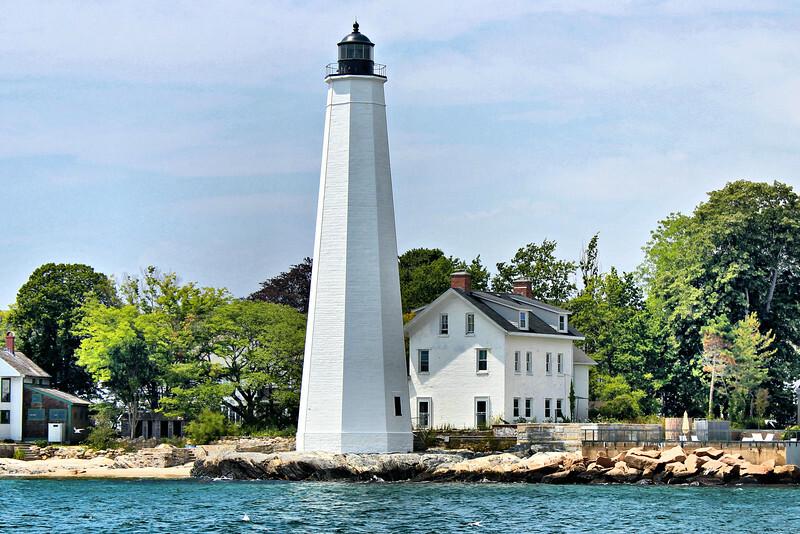 Nearby are the Coast Guard Academy, the Custom House Maritime Museum and several lighthouses including the 4th lighthouse to be built in the country, the New London Harbor Light. By the mid 1700’s New London had grown into one of the busiest whaling ports on the eastern seaboard. In October of 1760 local merchants petitioned the colony’s Assembly to erect a lighthouse at the port’s entrance. As was customary in those days, a lottery was held to raise funds for the construction.